The Welsh National Exercise Referral Scheme has been based on best practice from the UK, current evidence base, and operates to National Standards. 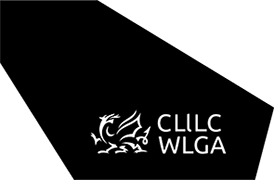 The scheme has been supported by the Welsh Government, working in partnership, Welsh Local Government Association, Local Authorities, Public Health Wales and Local Health Boards. All protocols used on the programme represent best-known practice and meet with current National Guidelines. All Exercise Professionals operating the programme are trained to NVQ Level 3, have a qualification that meets occupational standard D449 working with referred patients, with or working towards a Level 4 Weight Management Certificate and have completed the OCN level 2 Nutrition course. Exercise Referral Instructors are covered by public liability insurance and registered with the Register of Exercise Professionals. They will need to be assessed and referred by a health professional to ensure suitability for community scheme and have indicated their agreement to attend the 8 week “Foodwise4 Life” nutrition education programme. These clients may have attended or continuing to receive some dietetic services which will run simultaneously alongside NERS intervention; this will be recorded on referral form. 'Foodwise for Life' is an eight 8 week community weight management programme written and developed by Community dieticians suitable for delivery by people trained to Agored Cymru Level 2 and also attended a dietician led group facilitation training day. Tutors are also invigilated to by dieticians to quality assure delivery. This programme is offered in most local authority areas to referrals who undertake the NERS Weight Management programme, but only if regular attendance to the physical activity sessions is maintained.